Homemade version of the Tiki Tiki Tiki Tiki Tiki Rum cocktail from Trader Sam’s Enchanted Tiki Bar. 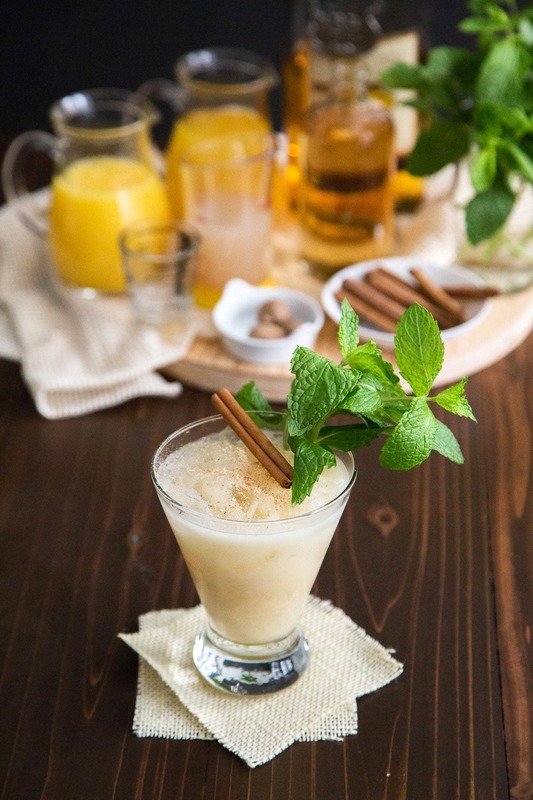 Made with rum, cream of coconut, pineapple juice and orange juice, it’s a cross between a Pina Colada and a Painkiller. I said goodbye to my Disneyland annual pass. After almost two decades of being an annual pass holder, I let my pass expire last week. I’m hoping it’s not a forever goodbye, just a temporary see you later kind of parting. Trader Sam’s is one of my favorite “secret” places at Disney. (Although since 2014, it has become super popular with long lines to enter during weekends.) The interior of Trader Sam’s playfully kitschy with a ton of decor adorning the walls. There’s a volcano that erupts whenever someone orders the Uh Oa. Sometimes there’s even thunder, lightening, and light showers. The tiki tiki tiki tiki tiki rum cocktail is a play on the Enchanted Tiki Room. And yes, they make you say “tiki” five times to the tune of the Tiki Room song. Made with rum, cream of coconut, pineapple juice, and orange juice, it’s a cross between a pina colada and a painkiller. 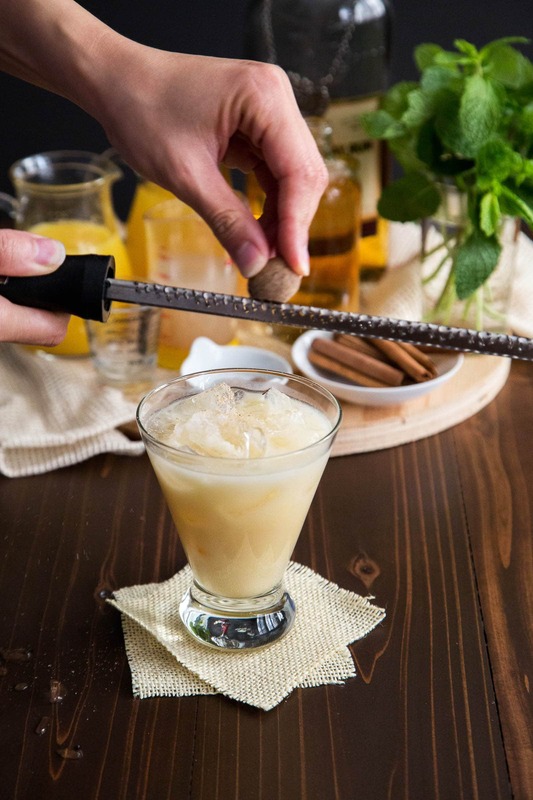 It’s a simple to drink to make at home and unlike most tiki cocktails, it requires very few ingredients. Don’t skimp out on the fresh grated nutmeg and cinnamon! It’s vital in this cocktail. Don’t let the Disney name fool you. The cocktails at Trader Sam’s are strong and legit. They also a have few virgin drinks as well as pupus and burgers. While children are allowed to enter during the day, the bar becomes strictly 21+ after 8pm. Also, it gets really loud inside the small bar. 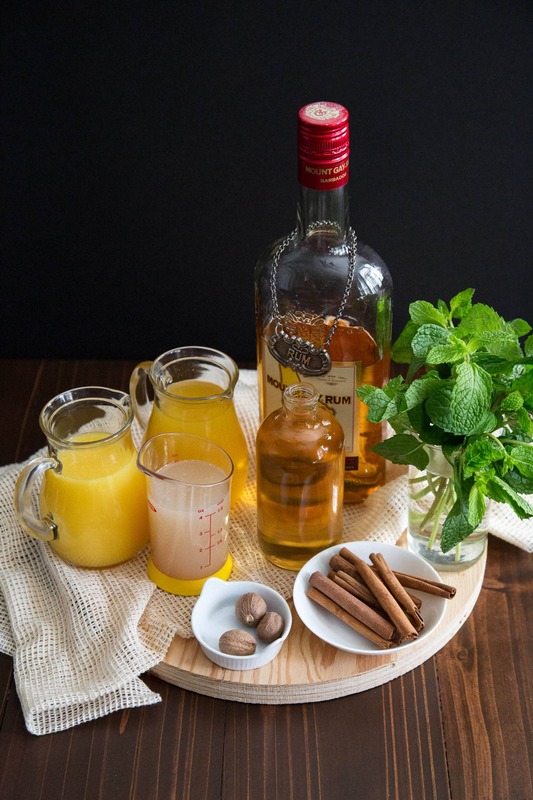 If you’re not into that, just make this drink at home! Add rum, cream of coconut, pineapple juice, and orange juice in a shaker filled with ice. Shake until drink is chilled. Strain into a serving glass half filled with crushed ice. Top generously with freshly ground nutmeg and cinnamon. Garnish with fresh mint leaves and a couple cinnamon sticks. 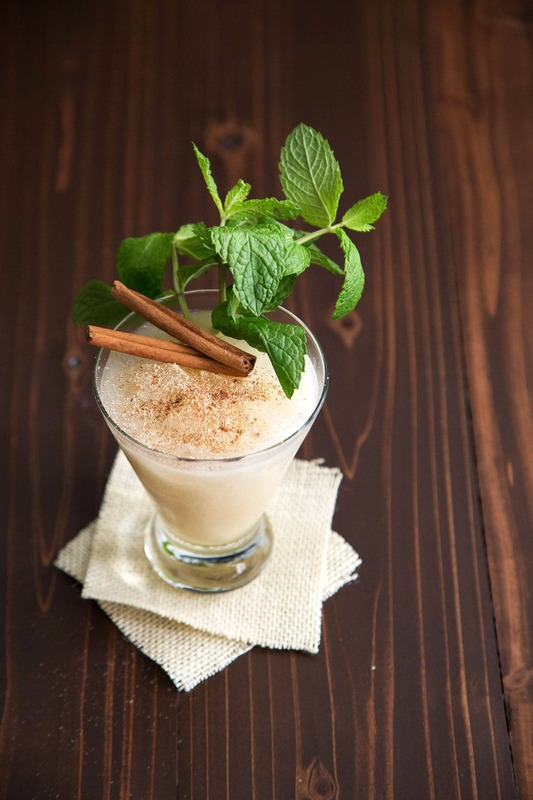 I used Mount Gay Eclipse Rum in this recipe, but I've been told Trader Sam's uses Pyrat XO Rum. Use "cream of coconut" NOT coconut cream. Cream of coconut is usually stocked in the liquor aisle of the market along with margarita mixers, sweet and sour mix, etc. It is sold in a squeeze bottle or can. This sounds so good! I have never had the disney version, but I would love to try this one at home! This looks so good! Think I need to make these this weekend. Looks really good and it’s even beautiful with the mint in there I can imagine how good it tastes. Thank you for sharing. that looks so delicious! and i always wondered what trader sams recipe was! i love the fresh nutmeg. This sounds amazing! I love all the ingredients, so I know I would love this! This sounds so tasty! I’ll have to give this recipe a try! This sounds really good! I’m going to try this out soon! I love your post title!! SO CUTE! And yes, this looks delicious and I need to try it asap! i used to really want to be an ap, but while i love disney, i’m not as obsessed as some ap’s i know who go multiple times per month. for me at least, it doesn’t feel quite as magical when i’m going so much. ANYWAYS, glad you can make this at home now! it’s probably much faster and cheaper to have a homemade version lol.